明日體™ / Ming Romantic™ made a sneak debut in China at the 7th Ningbo International Design Biennial. 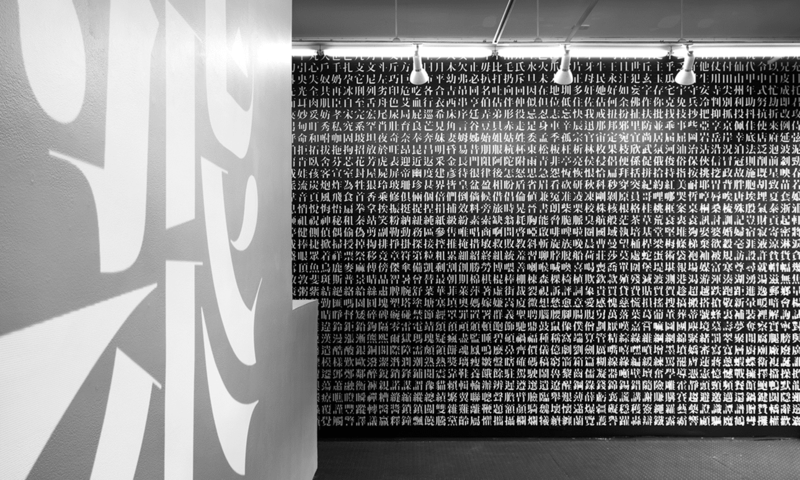 Pentagram's Natasha Jen approached Synoptic Office to use the modern typeface for their exhibit, Pentagram Remixed, honoring the firm's 40th anniversary. Ming Romantic™'s heavy strokes and delicate horizontals paired well with Pentagram's Didone style typeface, Modern No. 20. Custom simplified characters were created specifically for the exhibition to be used for the show's title and as room identifiers that highlighted the firm's major areas of practice.